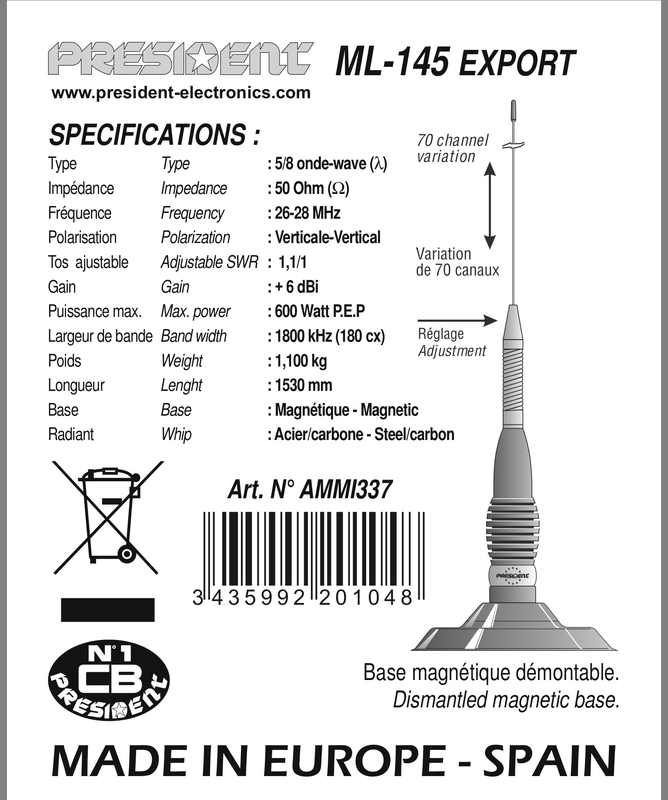 Life cycles of products wait for nobody it seems and the latest President antenna to be discontinued is the ML-145 Export. My guess it will be replaced with the UP version but this is neither confirmed or denied. So another one gone, maybe even more new antennas will come along sooner or later.